A new pastor has enough on his or her plate without coming into the church with a commission to deal with something that present leadership has avoided. The pastor who accepts such an assignment will find his or her tenure very short, very painful, or both. Why would a new pastor ever accept such an assignment? First, the new pastor probably has an unrealistic view of the church and the immensity of the problem. If present leaders or the former pastor have not been able to deal with this issue, one should expect that it is so deeply ingrained and explosive that addressing it will split the church wide open. The committee is looking for a hired assassin to deal with the situation, and such people are often expendable. Second, the new pastor may have an inflated sense of his or her own ability to work with people and deal with difficult situations. This may have been true in the new pastor’s previous church but probably only because he or she had invested in the people there and gained credibility in that particular congregation. Such credibility is rarely transferable without an equal amount of work in the new setting. Third, the new pastor may be desperate for a place of service so is he or she is willing to accept the commission. As Alexander Pope wrote, “Fools rush in where angels fear to tread.” Don’t be foolish. How many Cooperative Baptist Fellowship General Assemblies have I attended? I have lost count. 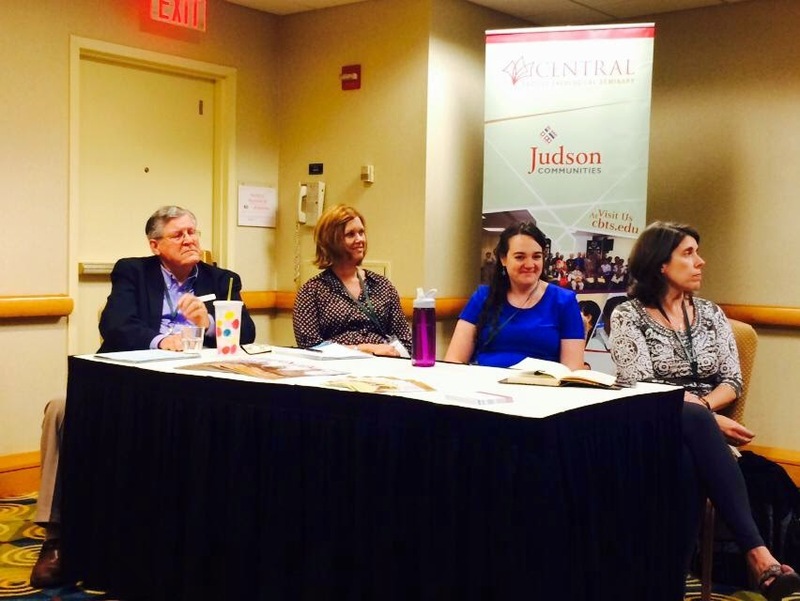 I started attending before I was elected coordinator for Tennessee CBF and, of course, never missed a session while I served in that position. I continue to attend, however. Like most lay persons who attend, I pay my own way and devote three days to the meeting and a couple of days to travel. Why do I continue to go to Fort Worth, Greensboro, Tampa, Atlanta, and other cities for these meetings? Second, I attend because I am interested in supporting various related groups like Baptist Women in Ministry, Baptist Center for Ethics, Associated Baptist Press, and the Baptist Joint Committee for Religious Liberty. They are part of the CBF network and offer unique and focused ministries that I support. Third, I go to show my support for the Cooperative Baptist Fellowship and to learn about the new initiatives the movement is embracing. Being a denomination/network in the 21st century is an evolving challenge and I am impressed by various attempts by CBF to engage individuals and churches in Kingdom ministry. Fourth, I attend because of my work with Central Baptist Theological Seminary which is giving me a chance to encourage and equip a new generation of leaders. CBTS wants to be part of the work of CBF, and I use every opportunity to facilitate that relationship. 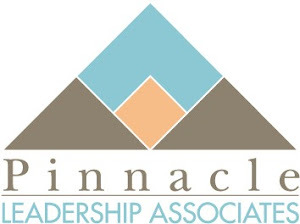 Fifth, I attend as part of my work with Pinnacle Leadership Associates. 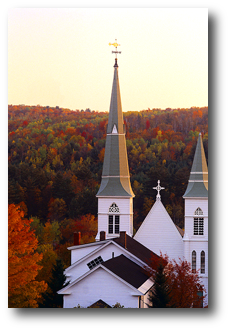 Pinnacle does not have a formal relationship with CBF, but national and state leaders have partnered with us from time to time to offer our services to individuals and churches. Pinnacle provides services that CBF-related churches need, and I try to tell that story. Sixth, I attend CBF General Assembly because I engage with leaders of all ages who taking the Baptist legacy into the future in exciting and innovative ways. And that gives me hope. We had lunch last week with a couple whose son recently graduated from seminary. They noted that many of their son’s fellow graduates have no interest in serving the local church. These degree holders want to work for hospitals, serve with not-for-profits, or start their own organizations. Others intend to pursue further academic study. This is anecdotal information, of course, but it mirrors what I hear from many associated with theological institutions. My own experience with Central Baptist Theological Seminary is that many students there are already engaged in church leadership full-time, part-time, or as volunteers. They are seeking theological education in order to be more effective in their ministries. Most are thirty or over and serve what we would call mainstream churches. With limited resources, where do the seminaries choose to put their resources? Do they want to educate individuals who see ministry in a larger context and may never serve a traditional church or do they educate those already immersed in the mainstream church culture and will serve local congregations? 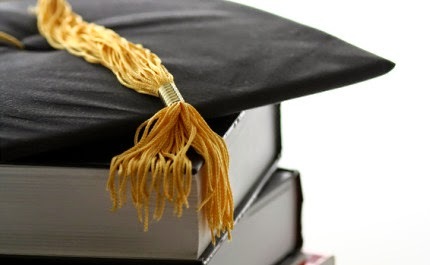 Perhaps the key questions are, “Who is funding theological education and what are the outcomes they expect?” Theological institutions usually seek funding from churches and denominations by promising to educate leaders for the church. If this is no longer completely true, will these funders contribute to ministries that are not church-related? If not, who are the potential contributors to an expanded vision of ministry in the world? In the near future, seminaries must decide if they can do both and, if they do, how they will pay for it. After I read this passage to my Bible study class this past Sunday, I asked: “OK. How many are ready to sign up?” They all looked at me like I had lost my mind. Who would be willing to put his or her family second to Jesus? Even more appropriate, who would be willing to follow the admonition to put your “own self”—your prejudices, hopes, and personal goals—aside to follow Jesus? The word “hate” for the Jews meant to be willing to detach oneself or put away something. Jesus is saying that you must value your relationship with him over every other relationship, even your commitment to your own ideas and comfort. You must make Jesus your first priority. Jesus decides it is time to give everyone a dose of reality about what it really means to be a disciple and to define the road that he and his disciples will have to walk in the future. Jesus talks about “carrying the cross” even before he has been asked to carry his own cross. The people listening would have been aware that those condemned to die by crucifixion had to carry the instrument of their death—the crossbar of the cross—to their execution. This is a heavy burden to bear, not only physically but emotionally. Death on the cross was both painful and shameful. Jesus is not painting a pretty picture, and he has a very good reason. He wants the crowd (and us) to realize that discipleship is not a matter of convenience. The way to resurrection leads through the cross. What do you think their response was? What is your response? Like most people, we have four major appliances in our kitchen. For the past few years, two of the four have been an in-house brand name from a particular national retailer. We just replaced the third (a refrigerator) from the same company. When we replace the fourth, we will buy from someone else. The reason? Poor service. Compared to all the problems of the world, this is not a big deal, but this purchase has reminded me that good service must be intentional. It does not happen by accident. Many of us are involved in providing a product to someone else. This may be training, coaching, consulting, instruction, or something similar. My negative experience with this retailer has reminded me that there are several aspects to being a good service provider. First, provide a good product. No matter how good your service is, what you deliver must be something of quality that endures. 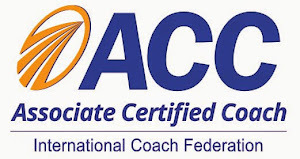 Whether a refrigerator or a course on coaching, what we deliver to the customer must be something worthwhile. Second, make the buying experience pleasant. People desire to be treated with respect and have their time honored. When I make you jump through unnecessary hoops, I am wasting your time. I have no right to disrespect you in that way. Third, don't promise more than you can provide. 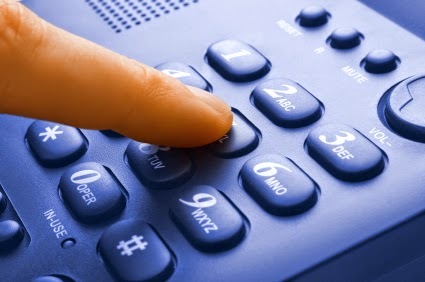 If you say that you are going to respond in a certain time period or deliver on a certain date, do it. It is better to under promise and over perform than vice versa. Fourth, follow through on what you promise. When you say you will do something, plan to do it or be ready to explain the extraordinary circumstances that made you fail to deliver on your promise. The sad thing is that we have become so accustomed to people not following through that we are delighted when they do. When you put your opinions into a blog, you can expect some critique. Occasionally, a reader will suggest that my ideas about the work of ministry are too business or market-oriented and leave out the spiritual or pastoral concerns about being a minister. Guess what? This is the same conversation that is going on among lay leaders, seminary professors, denominational leaders, and clergy in many forums today. In an address to new theological faculty last year, Daniel Aleshire, who is executive director of the Association of Theological Schools, provided not only an overview of the history of American theological education but also discussed an emerging model of ministry based on being humanly authentic and how theological educators might address it. Although I embrace the idea of entrepreneurial leadership, I agree with Aleshire for several reasons. First, if the pastor or minister is a leader (and I believe that one should be), then the current emphasis on relational as opposed to positional leadership impacts his or her role. Earlier generations might not have always agreed with or accepted their pastor, but there was usually some level of respect due to the position that the person held, especially if that position was filled by judicatory appointment. Today, real leadership is earned by one’s involvement, commitment, and investment in the group being led. Such a leader is immersed in the action and not a bystander. Second, although we talk in family systems theory about the minister being a “non-anxious presence” this does not mean that he or she is simply an observer. Once a pastor enters into the system, he or she is a part of that system, both responding to and influencing the system. The “non-anxious presence” idea is meant to communicate some level of impartiality, but every pastor knows that she or he has a stake in every conflict, decision, and relationship in the congregation. He or she is a participant and should own that role. Third, the greatest gift that any minister can provide to the people of God is authenticity. As someone said, “You can’s fake authenticity.” I was impressed by the comments by Amy Butler, recently called as pastor of Riverside Church in New York City, who commented in an interview, “I think traditionally people have expected clergy to be the ones that have all of the answers. Here’s the truth: nobody has all of the answers.” Just because one does not have all the answers, does not mean that they are not a person of faith. The minister can be an example of that fact. Fourth, one of the greatest resources that a minister has is his or her own story. The struggles that we have faced, the failures and well as successes, are part of who we are as human beings and believers. By owning those experiences, we can share more completely in the lives of our church members. Part of the mission statement of Central Baptist Theological Seminary is to form women and men “who are biblically knowledgeable, theologically articulate, spiritually healthy, humanly sensitive, and professionally competent.” Only one who embraces his or her own wounded humanity can really be “humanly sensitive.” We need that in our ministers. 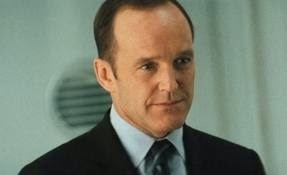 Although portrayed in the Marvel films as a rather drab company man whose primary role was to deliver files and provide a little comic relief, everyman Coulson is the linchpin of the new series (which has been renewed for a second season). He was the average guy who had the opportunity to interact with larger than life superheroes but that status has been called into question with his return to life. Coulson’s resurrection is largely due to alien biology and technology, so we don’t know yet how that has changed him. The early episodes alluded to some fear on the part of the agency’s head, Nick Fury, that Coulson might not be quite right mentally (and perhaps physically?). I suppose I like Coulson because his “born again” experience parallels that of a person who has found God for the first time and is often disoriented by the experience. Initially, Coulson is thrilled by the gift of life but he quickly starts to wonder what it is really all about. He finally perks up when he discovers (or accepts) a new mission in life. He now has a meaning and a purpose. So, you ask, how is this like the experience of a new believer? Someone who has a spiritual conversion often goes through a period of confusion. The person is not what he or she once was, but who are they now? Discovering this is a process that we call discipleship. No one who comes to Christ is suddenly fully formed as a believer. The Apostle Paul himself when through a rather lengthy process before he emerged as the apostle to the Gentiles. As we deal with people who are new to the faith, we must be supportive, caring, and intentional in helping them to discover the unique mission that God has provided for them. Only they can discover what that mission is. Like Agent Coulson, new believers may be confused and unsure for awhile, but once they discover the mission that God has for them, stand back! A friend recently told me that when he came to his new church, a member who is an attorney asked, “How can you use a guy like me in church?” This gave birth to a new legal aid group made up of almost 30 attorneys to help people in the community. To engage such people, however, we need to a new mindset. Rather than thinking about how we can “use” them (a rather selfish approach) in the established work of the congregation, we may need to think in terms of how to empower them to start new ministries or to commission them to serve as missionaries to the community. Many programs in the church are “sacred cows” that have outlived their usefulness. Perhaps, however, they can provide the seeds for a new or improved ministry. We must be willing to give up the old in order to embrace the new. Churches should also consider how to use their physical resources in missional endeavors. Most traditional churches have large facilities that are used only a few hours a week. Some have chosen to rent portions of their facilities in order to generate income. The most effective use of these facilities, however, would be to create new ministries to occupy that space or partner with already established community programs to strengthen their work. A tool that churches can use to assess what they have available for Kingdom work is Asset-based community development (ABCD). This methodology seeks to uncover and utilize the strengths within communities as a means for sustainable development. 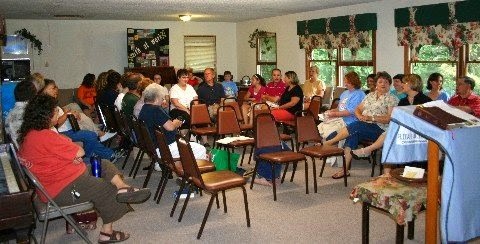 If undertaken as a community process and not limited to church members, ABCD can open doors for new engagement with the community around the church. In fact, there may be those outside the church who can become part of the team to address needs. God has blessed us in many ways, although we may not be fully aware of those blessings or how to use them most effectively. We may have a hard time understanding the way that Americans approached World War Two. Everyone was involved in some way. If you were not in service or did not have a loved one in the military, you probably knew someone who was. The average citizen was also impacted by rationing and the repurposing of various public services in order to support the war effort. We also might not to understand why men who were, if not at the top of their careers, at least heading in that direction would be willing to give up their livelihoods in order to serve in the military. 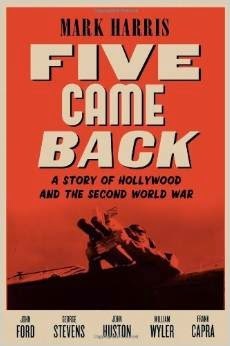 In his book Five Came Back: A Story of Hollywood and the Second World War, Mark Harris writes about five men who were not only willing to serve but actually sought the opportunity. Directors John Ford, William Wyler, John Huston, Frank Capra, and George Stevens were considered among the top directors in Hollywood prior to the war. All offered their services to the military and found themselves involved in various projects. They were a varied group. Frank Capra, born in Sicily, was the ideologue and propagandist. He had the most visible role as he worked in Washington to create films to inform servicemen and civilians and to shape public opinion. John Ford, an Irish-American Catholic, seems to have been motivated to serve out his own sense of machismo. He sought to build his image as a man’s man, even if it meant recreating key elements of the war films he produced and exaggerating the risks he undertook. Likewise, John Houston was seeking to prove his manhood. The son of actor Walter Houston, he was Hollywood royalty. The war years were an opportunity for him to pursue his role as a raconteur and ladies’ man and build his reputation in Hollywood. William Wyler, the only Jew in the group, was perhaps the most heroic, flying bomber missions over Europe to obtain footage for the acclaimed documentary The Memphis Belle. As a result of his wartime exploits, he lost his hearing and almost sacrificed his postwar career. George Stevens, who had built his reputation as a filmmaker with romantic comedies and light-hearted adventure films, became the chronicler of the inhumanity of the Dachau concentration camps. The emotional impact was initially a burden but became a source of creativity in his postwar films. What drove them? In the words of Ford, they were ashamed to sit out the war “in mockie-land while the good people are fighting.” In their own way, each was basically a patriot. They returned to find that, for the most part, Hollywood had little regard for their service. They all fought personal demons as they returned to the film industry. All but Capra did their best work after the way, drawing on their wartime experiences to provide films marked by honesty, complexity, and social consciousness. Capra’s big film after the war, “It’s a Wonderful Life,” was a dud and he never returned to his prewar stature. Harris provides an interesting story of these men as individuals as well as the role of Hollywood during the war. Although they were scattered around the world during their military service, they tried to stay in touch with an industry that often seemed more interested in the box office than in the war. Five Came Back helps us to understand not only these creative men but the cultural impact of World War Two. The film industry played a key role not only in entertaining but informing both civilians and serviceman and women. For the first time, a new form of mass media was important in the war effort and these men played a key role. My grandson, Noah, and I visited Washington, DC, during the Spring break. One of the highlights was a tour of the U.S. Capitol. We had done this before, but each time is a learning experience. As our guide pointed out the statues in the Rotunda and in Statuary Hall, both Noah and I noted an interesting juxtaposition. Even so, each of these men was and is seen as patriotic by their respective states. They were faithful and committed in their own way. So exactly what does it mean to be patriotic? There is a lot of posturing about who is deserving of that title today. Even more specifically, what does it mean for a Christian to be a national patriot while being a citizen of the Kingdom of God? Let me suggest some ideas about what it means to be patriotic from a Christian perspective. 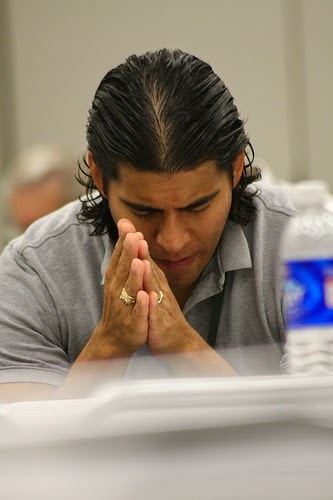 A Christian patriot prays for those in authority. Even if you did not vote for the leaders of your country, they need your prayers and doing so may encourage humility both as a Christian and as a citizen. I am struck by the fact that the liturgy used by the Episcopal Church includes praying for the President by name each Sunday. A Christian patriot votes in elections. This involves not just voting the party line or being an “issues voter” but being discerning and informed before casting a ballot. This means reading, questioning, and discussing the commitments and apparent qualifications of the various candidates. A Christian patriot pays his or her fair share of taxes. This is specifically what Jesus was talking about when he said, “Then give back to Caesar what is Caesar’s, and to God what is God’s.” (Luke 20:25, NIV). He was not condoning all that the Roman Empire did, but he did recognize that when you live in a secular state, you meet your obligations to that state. In a modern democracy, this means that just as the Christian is honest in all his or her business dealings so that person will be honest in paying what is due to the government. A Christian patriot serves when called upon for such civil obligations as military service or jury duty. Not all Christians will accept the role of military service and conscientiously object to the practice, but we can agree to disagree on that point. A Christian patriot helps others in the community regardless of ethnicity or national origin. This means that the Christian wants good schools, public services, and health care for all people. All need the opportunity to prosper. Here again I do not expect everyone to agree with me on this point but it does seem to embody the teachings of Christ. A Christian patriot knows the history of the country. As a historian by training, I am often amazed at the ability of some political (and religious) leaders to either rewrite or ignore history. History is both inspiring and disappointing. The story of how we have come to where we are now includes incidents of brutality and indifference but also acts of courage and sacrifice. Religious leaders must also realize that the church is not free of guilt in some of the darker episodes of our history—human slavery, for just one example. What does it mean to you to be both a Christian and a patriot? Each of us must make our own choices, but I find this short list rather challenging for me.